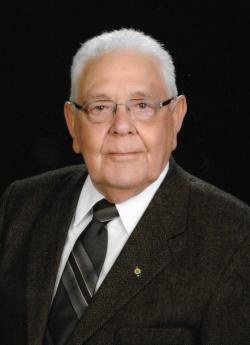 John Gallant of Riverview passed away peacefully surrounded by his loving family on Sunday, April 14, 2019 at The Moncton Hospital. Born in Tignish, PE, he was the son of the late Emile and Mary Ellen (Martin) Gallant. He was an active member of Immaculate Heart of Mary Parish and a member of the Knights of Columbus Council 9270 and a 4th Degree member of the Roy M. MacDonald Assembly. John enjoyed socializing with his brother knights, spontaneous in nature, kind at heart, always there willing to lend a helping hand. John went to Toronto in 1952,. married his wife Marliss in 1961, While in Toronto he owned and operated his own long-haul truck a job he truly loved, later they moved to New Brunswick in 1970. Over the years John owned and operated service stations in Moncton, Scoudouc and Oxford N.S later partnering in a restaurant in Port Howe, NS, having retired from Automotive sales in 1991 at the age 58. He and his wife loved to travel having visited Italy and wintered many years in Fort Pierce, Florida. He will be dearly missed by his wife Marliss Matilda Gallant (Simpson), his children; Carrie-Ann Casey (David) of Port Howe, NS, Harold (Diane) of Stoney Creek, four grandchildren, Erin (Adam) Jewkes, Paula Casey (Joel Doucet) Annabel Gallant (Tyler Daigle), Avery Gallant, Sisters; Cecile Chaisson (Fred), Jeanette Matsumoto, Bernice Pitre (Dolor), Theresa Ruttgaizer (Roger), Nancy Gallant-Turner (Larry), brother, Joseph Gallant, as well as several nieces and nephews. Besides his parents he was predeceased by 2 sisters; Anita Dougan and Anne Marie Curley, Brother in-law Maurice Dougan, Sister in-law Doreen Gallant.